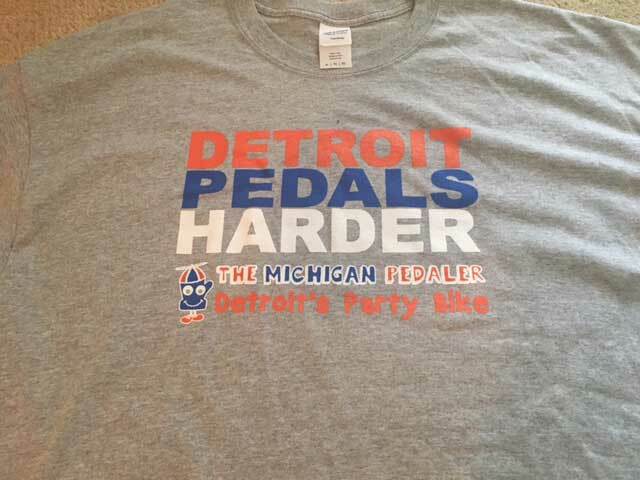 Get your very own "Detroit Pedals Harder" T-shirt, or order one for the whole crew! Let us know your sizes and quantities (S, M, L, XL, XXL) in the "Sizes Needed" section of the order form. Cost includes tax. PLEASE NOTE - For local pick-up orders, please use PROMO CODE "NoShip" on checkout to eliminate shipping charges.